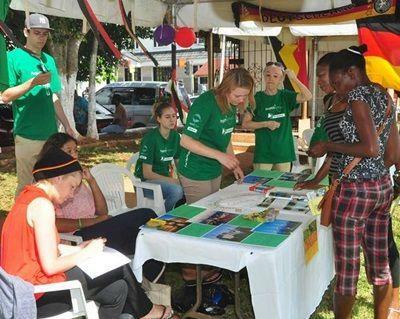 What’s more, the week will feature activities that include launching a display on Projects Abroad Jamaica at the Manchester Parish Library and there will be live radio broadcasts from two radio stations. There will also be a breakfast for all those involved in the projects where they can share management plans and discuss what has been accomplished. One of the main activities will be a ‘dirty day’, where everyone will work together to clean up and improve the conditions of a school. There will also be a chance to announce the 2013 award winners for an excellent host family, driver and placement. Through their many projects, from Human Rights to Care, Projects Abroad Jamaica continues to make a difference in the lives of many locals.